Thanks again to everyone who participated in Monday's Summer Colors, it's such a great way to kick off the summer season! Now for Tuesday! The color is blue today and we have a most beautiful piece of art to giveaway on instagram! 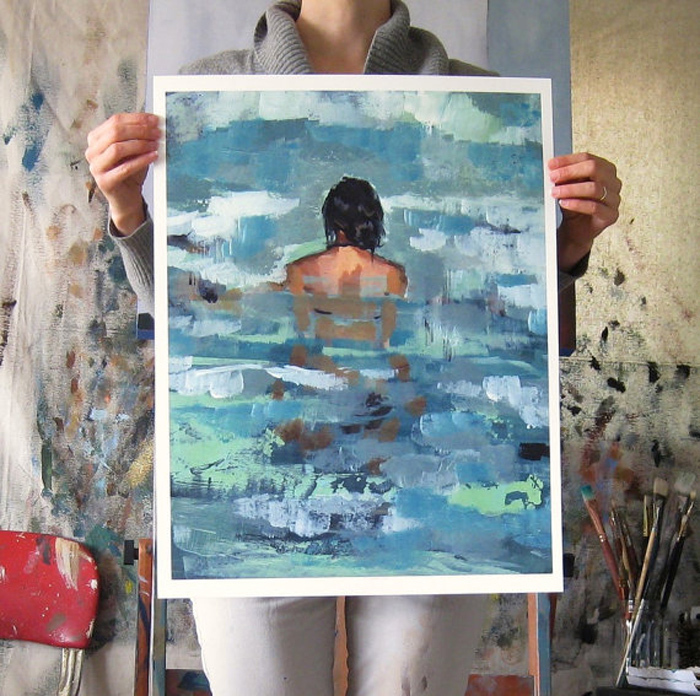 A large giclee digital print art poster of a painting of a woman in the ocean courtesy of Clare Elsaesser ( @clareelsaesser ). To enter the give-away part, same details as yesterday; 1) Follow @poppytalk on instagram 2) Upload your daily color image with hashtag #summercolors13 and 3) Comment and tag one friend at the daily giveaway post on instagram and I will announce a winner at tomorrows color announcement post. Good luck and mega thank you to Clare Elsaesser for donating tuesday's giveaway! Follow Clare online at tastesorangey.blogspot.com, etsy.com/shop/tastesorangey, instagram and at Poppytalk Market Click here to visit the giveaway post on instagram to enter!